LondonJazz News: Tell us about your latest, 25th podcast interview. Huw V Williams: For episode 25, I talked to Corey Mwamba. Corey is an incredible vibraphone player who is about to retire from public performance on 23 March 2019. Corey will still be active in composing/recording/organising/archiving music. I’m sure many musicians have felt like stopping (myself included); I wanted to see what lead him to this decision. I had wanted to talk to Corey for a while, despite our paths having not crossed yet, but I seized the opportunity and talked on the afternoon prior to his last ever gig in London. A lot of the interviews I have recorded have felt as if they could go on for a lot longer, I’m playing with an idea of doing a part 2 with previous guests. Corey is definitely a person I’d like to catch up with again. LJN: What originally gave you the idea to set up this podcast? HVW: Around October 2017, after years of listening to podcasts and hoping to start my own, I bit the bullet and bought myself some recording equipment to record the long-form interviews. The main idea is to talk to some of my favourite musicians and to shine a light on some of the artists who I don’t think get as much attention as they deserve. I talk to guests across the whole spectrum of improvised musics. LJN: Who were the first guests? HVW: The first few interviews I recorded were with Dee Byrne, Simon Roth and Elias Stemeseder: musicians I had known for a while, but never had the opportunity to learn their full origin story or the details about their creative process. My policy about the podcast has always been to interview people who I am genuinely interested in and have researched. I do all the interviews in person, for many reasons, the biggest one being chemistry with the guest, but also for control over sound quality. If people are going to listen to me asking questions for an hour, I want to to sound as clear as I can make it. I have always been curious about what makes up a musician, for example what had happened in their youth to turn them on to music and why they went down a certain path musically. In a long-form interview such as this, I feel the listener gets a clearer picture of the person I’m interviewing, as there’s more opportunity to open up than there would be in a short five-minute interview. LJN: How many episodes will you record? HVW: Originally I had only planned to make 10 episodes, just to see how it went, but after that I got the hunger to do more. There’s still a big list of people I’d love to interview, so there’s no real plans of stopping. Since I’ve published 25 episodes so far, maybe I’m going to aim for at least 50. LJN: What topics do you cover in the podcast? HVW: The topics covered in most of these episodes are mostly to do with music. I love talking about the formative albums which made the musician the person they are now. I also cover biographical things, everyone has a slightly different story of how they fell into a life of playing fairly obscure music and it’s interesting to see how these things came about. Podcasts which really influenced me to start “Improvised Music Agenda” are Jeremiah Cymerman’s “5049 podcast”, who interviews musicians based around New York, he really gets into it and there’s a great mix of guests, also the other big one for me has been Stuart Goldsmith’s “Comedian’s Comedian Podcast”, in which he himself a stand-up interviews other stand-ups about their creative process. I have learnt a lot about interviewing from these two podcasts, but there are also many others which have influenced me (which I won’t list right now). LJN: Is the podcast aimed at musicians or the wider audience? 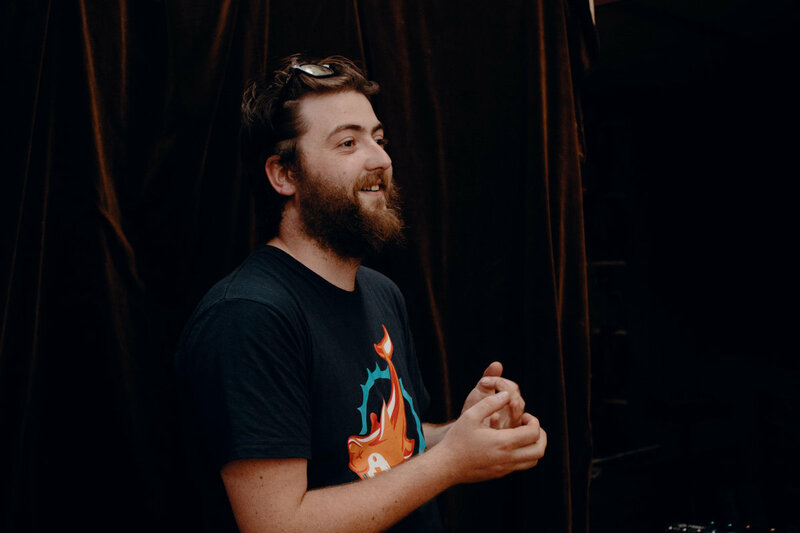 HVW: When I started doing this, I was trying to model it on something I would like to listen to, but the intent has always been for it to appeal to the wider audience. I’m hoping the interviews will introduce people to new music and support the great scene we have in the UK at the moment. It’s been quiet nice recently bumping into fellow musicians who have been listening to the podcast and being complimentary about it. LJN: Which has been the most popular episode? Do you have a favourite episode? HVW: From looking at the stats, more people are listening each week and diving into previous episodes, which I’m really chuffed about! There are so many incredible musicians in our circle whose profiles aren’t as high as others, but their creative output is of equally high standard. For that reason I wouldn’t want to say which is the most popular or which is my favourite episode as it brings hierarchy to the series. I’m grateful to all the guests for giving up their time and telling their stories on mic for the listener. I believe each episode is different and every guest has a different quality that comes out, musically and personally. For example, Alex Ward and Adrian Cox are both incredible clarinettists, but on very different sides of music and had a great time interviewing both. LJN: Which musicians would you really like to interview? HVW: There’s already a big list of people I’d love to talk to which keeps growing. I would love to interview some of my heroes that are still around, for example Trevor Dunn, Mary Halvorson, Tony Malaby and many many many more. But if I could interview guests who have passed on, I’d love to talk to Wilbur Ware, Derek Bailey, Thelonious Monk and many, many more. LJN: What have you learnt from doing the podcast? And how is it different from others? HVW: From doing the podcast, I’ve become more aware of interview techniques and the role of the interviewer. The style which I’m going for is half way in between being an interview and a conversation, which I hope makes the guest open up a little more and get to talk about things you wouldn’t hear in other contexts. Maybe the closest comparison that people might make is to the Jazz podcast hosted by Rob Cope and Dan Farrant. Although there’s some crossover of guests between mine and Rob’s shows, we extract different sorts of information from our guests and our angle is slightly different. 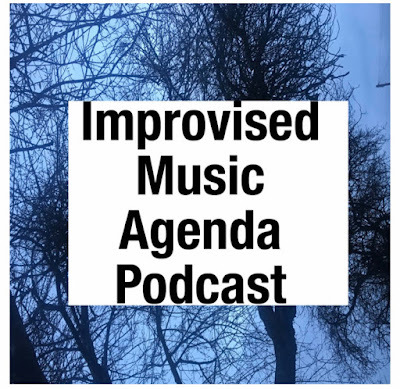 We have also been on each other’s shows and regularly message each other about podcast-related things, we’ve sort of created a British jazz/improvised music podcast support group. It took me a while to start the podcast as I wasn’t sure if it was going to be different enough from other ones, but I figured it’s good to have as many of these things out there as possible as it’s minority musical genre, the more we talk about it, the more people will listen to the music. LJN: Where can we find the podcast? HVW: You can find the podcast on most streaming services, links are below. I also have a Patreon page for the podcast to help raise funds. There are many costs that go with making a podcast, for example online hosting, recording gear, travelling and so on. You can do a one-off donation or a subscription, – every little bit of money makes a big difference. Also, a massive thank you to those who already contribute! If you enjoy the podcast and want to help out with out donating money, a rating and review on iTunes is also a massive help.